Joy, happiness, and youth. These three traits are what the color pink brings to mind. Often attributed to fashionistas, pink is not an option for those who prefer staying in their comfort zone. Courage is an essential fashion skill required to rock pink. 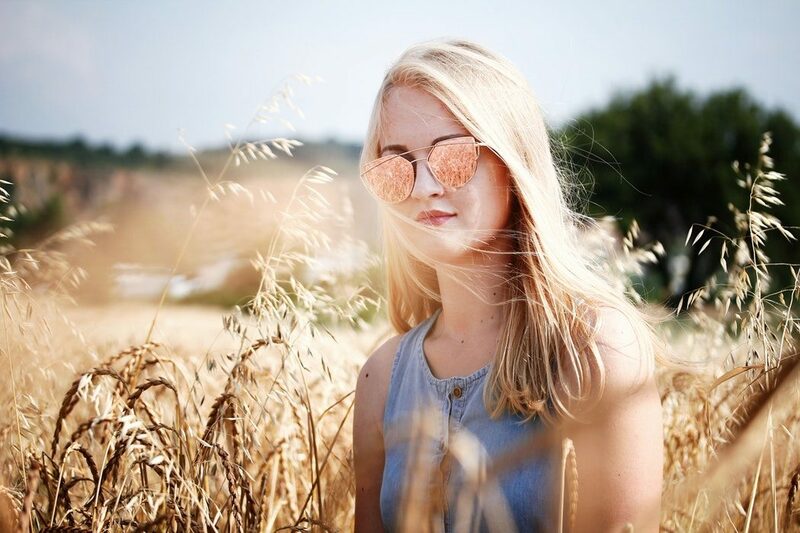 If you need to wear glasses, and pink is on your hit list, check some of the most fashionable and effective products below. Nothing feels better than wearing an Italian fashion brand. Vogue is a top class choice if you want to shop, and their eyewear collection is not to be ignored. 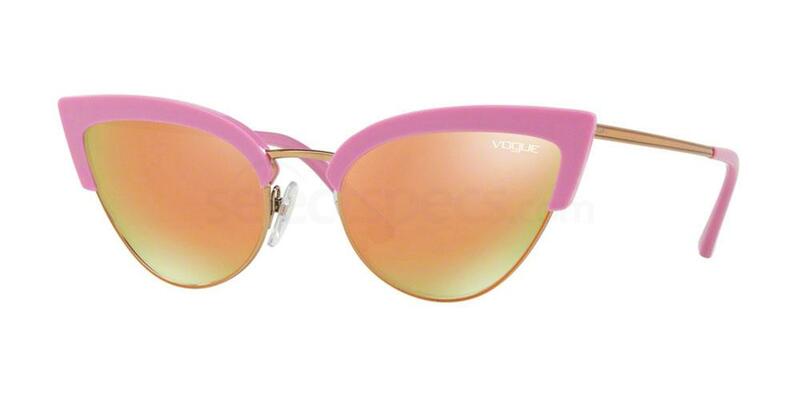 The Vogue VO5212S brings elegance and cool together with a stylish Cat-eye look generated by this item. 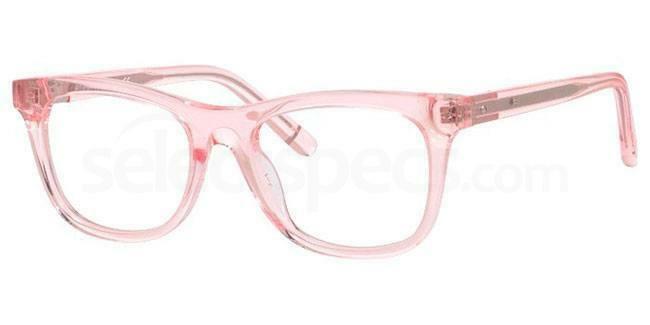 Pink frames and temples make an unforgettable pair as fashion lovers can admire the comfort and modern design. The best is yet to come as your eye vision is prioritized through the range of lenses that you can pick: single vision, progressive or spring hinge. Cherry pink is one of the reasons why the Vogue VO5212S is your new guilty pleasure. I've been meaning to design something just for fun for a while now. And yesterday, while feeling #inspired by my new glasses, I made this. There is a fine line between style triumph and disaster, and the universe of glasses doesn’t make any exceptions. For pink brilliance, a stylish look and clear vision, opt for the modern Bobbi Brown – The Riley glasses. These Wayfarers are your reason to believe you can look brilliant at work while being fashionable as well. Plastic frames and protective lenses provided with the coating, it feels just like a fashion crush. This eyewear choice is ideal regardless of face shape, so don’t go to sleep until you press that buy button. Whenever we have a look at our next pick, we can easily recognize a few beautiful details: clean cut lines, shiny frames, and elegance. 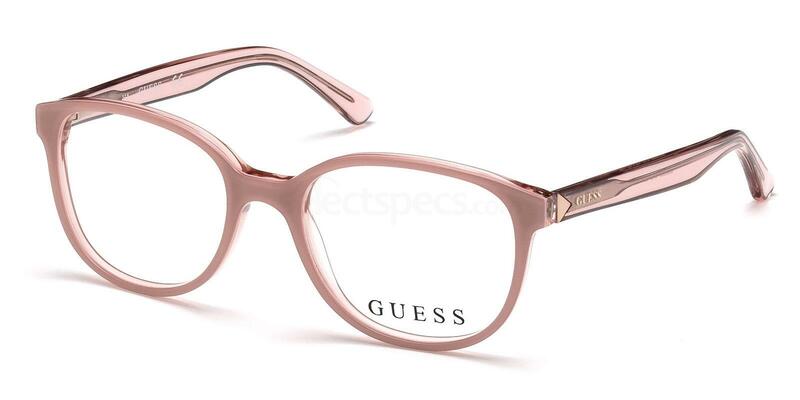 These are the Guest GU2586, a full rimmed pair which will excite anyone addicted to pink. The plastic frames are ideal as they outline the stylishness of pink, whereas the lenses will protect your eyes and offer extra coolness to the final image. Apart from bringing a sense of youth and joy, the item is ideal for any sort of event and can be adapted for a casual afternoon in the park or paired with a fancy dress and some stilettos. This is a royal pair designed to be worn by a queen with a PhD in Pink Fashion. Miu Miu is widely recognized as a popular brand for fashionistas and the Miu Miu MU06 PV is the ultimate proof. 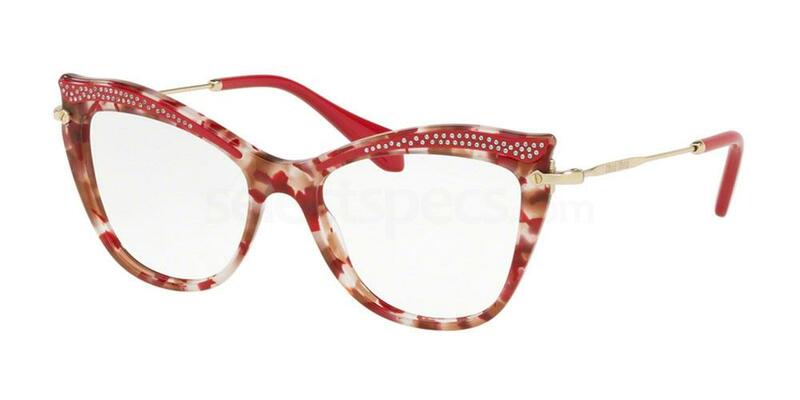 I mean, apart from being pink, this pair combines acetate frames with skinny metal temples. This Cat-Eye look will steal eyes as the lightweight glasses make the product easy-to-wear. But, there is one detail which cannot be ignored. The acetate eyebrows which surround the lenses are Miu-Miu’s creative way of saying: We are one of a kind.